What Happens To Your Body When You Don't Drink Enough Water? Doctors are always advising us on what we should and shouldn’t put in our bodies. Eat your five fruit and vegetables a day, drink plenty of water, avoid fats. The problem is, new research is always coming out that changes those recommendations. Fat is one that changes a lot. First, we were told that all fats were bad, but more recently it’s come out that certain forms of fat are actually beneficial. All of that flip-flopping often causes people to mistrust information from experts which can put your health at risk. Experts recommend drinking between and 1 and 2 litres of water a day. That’s about 6 to 8 glasses a day, although you shouldn’t take that as an exact guideline. It seems like a lot and people often discount it, thinking that a few glasses is fine. The reason that it’s so easy for people to make that mistake is that they just think that as long as they don’t feel thirsty, they’re getting enough water. That’s not the case at all. Dehydration is just one symptom of not drinking enough water. It’s fairly easy to spot because you’ll have a dry mouth, feelings of fatigue, dizziness, and headaches. When you start feeling some of those symptoms you can quickly sort it by drinking some water. However, there is a whole host of other problems that come from not drinking enough, and most of them aren’t easily visible. 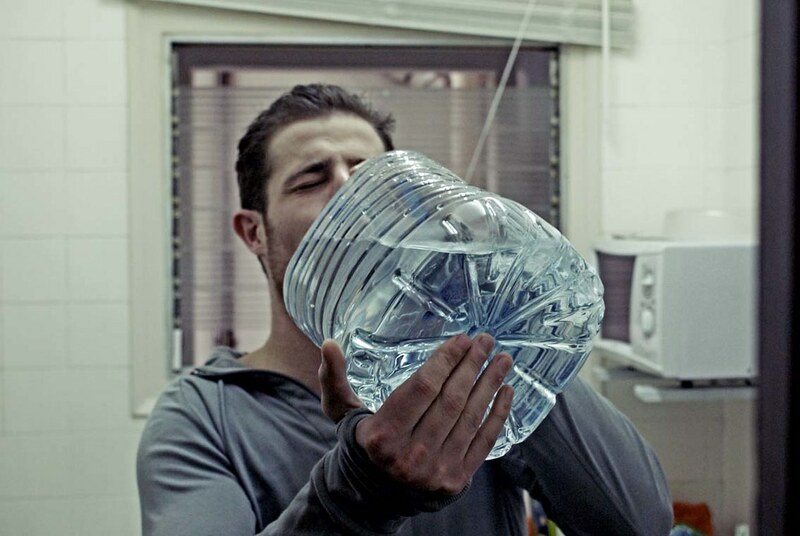 If you aren’t getting your 2 litres a day, you risk developing one of these conditions. There are all sorts of reasons that you can get low blood pressure but you probably never thought that not drinking enough water can cause it. Not drinking enough water reduces the amount of blood that you produce and can lead to low blood pressure. Having low blood pressure opens you up to a whole load of new health issues. Fainting and vision issues are very common and that’s just the tip of the iceberg. In more serious cases it can lead to spinal cord injuries. You can read more here about the dangers. When you’ve got low blood pressure, you’ll experience a severe lack of oxygen going to the spinal cord which can easily result in injury. Low blood pressure causes so many problems but it can be easily avoided if you drink enough water. One of the most important functions of the water that you drink is regulating body temperature. It acts as a cooling mechanism both inside and outside the skin, especially when you’ve been exercising. If you aren’t drinking enough water, that cooling system won’t work properly. The effects of being overheated range from small inconveniences to life threatening conditions. Slight overheating will result in dizziness and fatigue, and possibly fainting. However, if you let it get worse without doing anything to cool yourself off, you can develop heatstroke which can be life threatening in some cases. The human body is a complicated mix of chemicals, all working in perfect harmony. If you interrupt that balance, all sorts of things can go wrong. Lack of water can affect the amount of lubrication in your joints which can then lead to unnecessary stresses and strains, and arthritis later in life. Water is also full of all sorts of vitamins and minerals that your body needs to function properly. Without them, you’ll have a lot of deficiencies. For example, your brain needs sodium and potassium in order to successfully send signals to other areas of the body. Those chemical imbalances can lead to irregular heartbeat, fainting, and even kidney failure if you’ve got severe shortfalls. Your digestive system relies on a steady flow of water to work properly, without it, you’ll get constipated. If you aren’t drinking enough, toxins will build up in your body and it can also cause you to gain a lot of weight and you’ll start to feel awful. If it’s a long-term problem it can cause far more serious problems like allergies, toxic overload syndrome, irritable bowel syndrome, and a reduced appetite. Drinking warm water, in particular, stimulates digestion so that morning tea or coffee is good for more than just caffeine. If the problem persists, consider drinking warm water throughout the day. Your stomach has an acidic lining to help you to digest food, but it’s 98 percent water. The level of water in there stops the acids in your stomach from damaging the lining. If there isn’t enough water in your body, the balance will be upset and there will be too high a concentration of acid in your sto mach. A small increase will cause a bit of indigestion and a few stomach cramps, but if the concentration of acid gets too high, it can do some serious damage to your stomach lining and cause stomach ulcers. When you’re dehydrated your body sometimes gets a bit confused and mistakes a lack of water for a lack of food. You’ll start to get hunger pangs and, naturally, you’ll eat something because you think you’re hungry. Half the time, you aren’t hungry and if you just have a glass of water the pains will go away. You’ll be eating way too much if you just stuff your face anytime you feel a slight twinge. Just have a glass of water first and see if it helps. Your muscles contain a lot of water so not drinking enough can lead to low muscles mass. It can also cause sore and inflamed muscles after exercising if there isn’t enough water in there. You need to be drinking water before, during, and after any exercise that you do to make sure you aren’t damaging your muscles. The amount of water that doctors recommend you drink seems pretty high so people often avoid it but it’s actually pretty dangerous to do so. When you first start trying to get your 2 litres a day it seems like loads but if you get a water bottle and carry it about with you, it’s not that hard. Simple Weight Loss Hacks That Really Work! Why Not Burn Off Fat At Home?